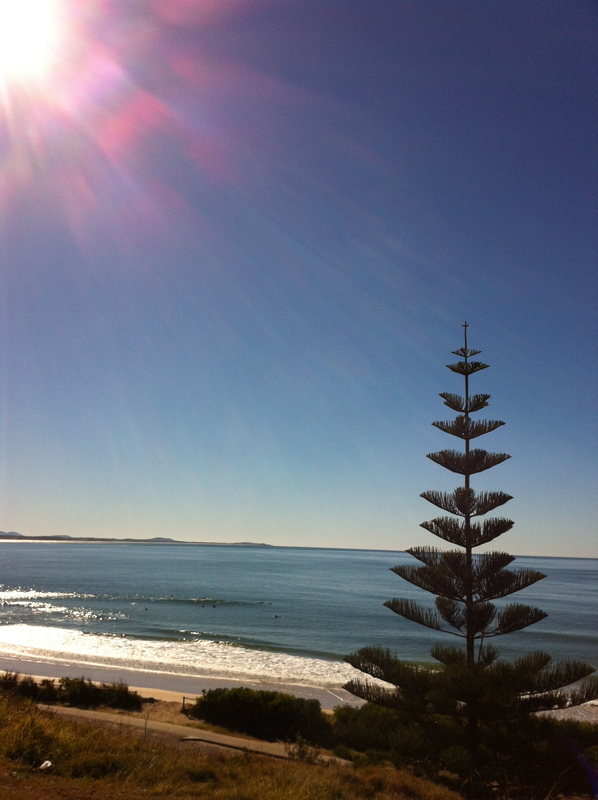 A lone Norfolk Pine Tree stands guard over Town Beach, Port Macquarie. The view is North towards Crescent Head and beyond. Note the great white shark lurking just behind the surfers about to catch the next wave. Images and content on this site are copyright to pieceofport.com and may not be copied or used without written permission from the author. All rights reserved.